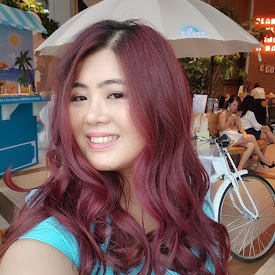 Jessying - Malaysia Beauty Blog - Skin Care reviews, Make Up reviews and latest beauty news in town! 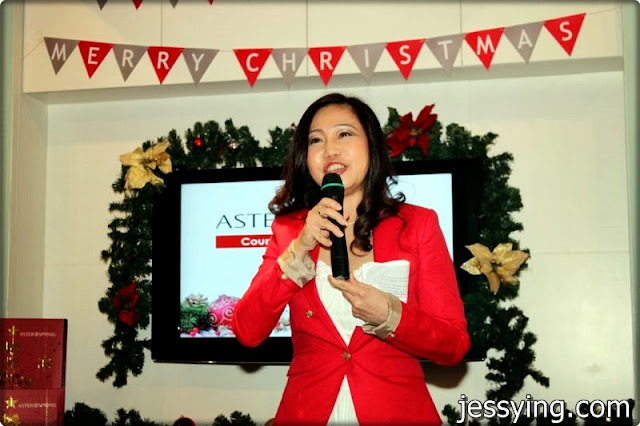 : Countdown to Christmas with AsterSpring Beauty Advent Calendar Gift Box! 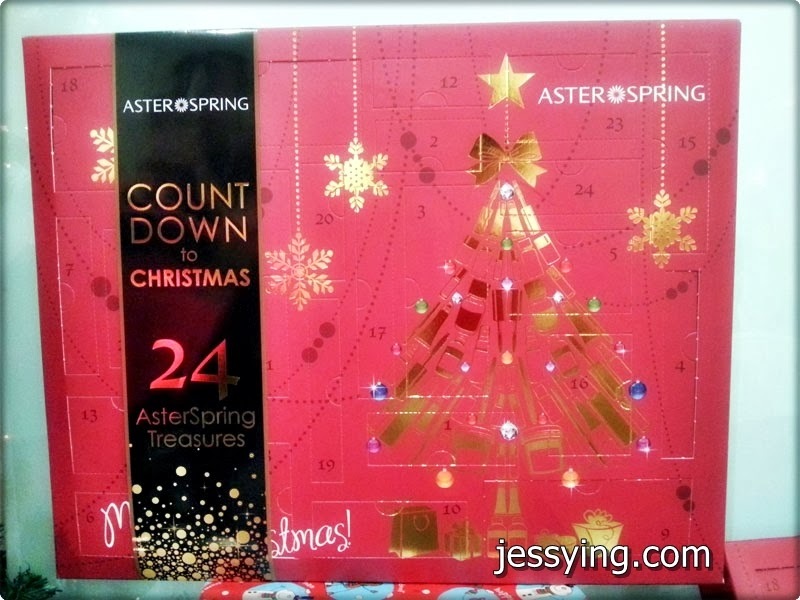 Countdown to Christmas with AsterSpring Beauty Advent Calendar Gift Box! With less than a month till Christmas Day, now is the time to write down our LONG wish lists to send to Santa. And have you got your gift ready for your families & friends? Ho Ho Ho..... Santa Clause is coming to town! While counting down the days, AsterSpring has launched their Beauty Advent Calendar Gift Box! Santa Clause aka Ben Jern of Fly FM was story telling about how this Beauty Advent Calendar Gift Box concept was adapted from the cheerful tradition of the advent calendar, which dates back to the 19th century, it evolved from markings on wooden doors to revealing fun gifts in the form of individual boxes creatively stacked with dates from the first to the twenty-fourth of December. Unveiling a mystery gift daily .... is really fun because not only it served as a cheerful and daily reminder of how close Christmas is, it also enhanced the excitement of the arrival of Christmas. 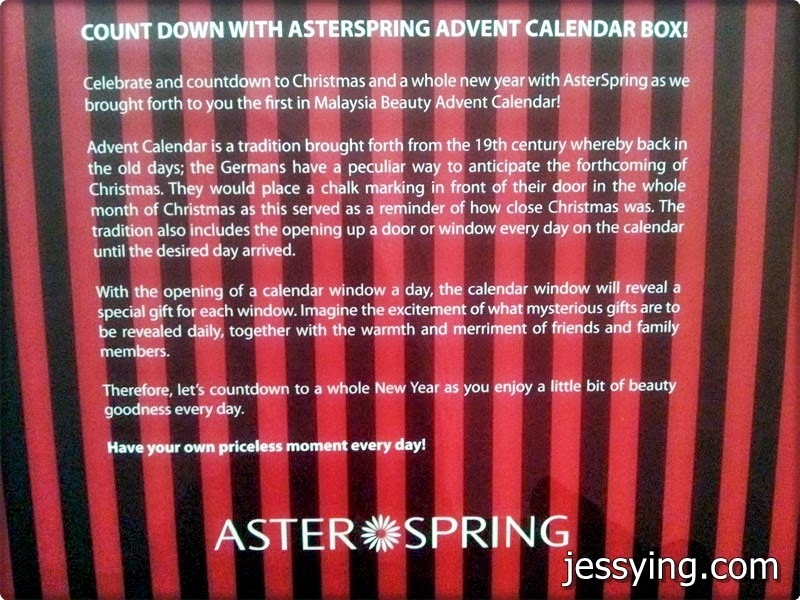 AsterSpring Beauty Advent Calendar Gift Box consists of premium skin caring skincare and cosmetic brands such as Dermalogica, Averine, Davines, Tisserand and AsterSpring treatments vouchers. Thanks to AsterSpring, each of us received our early Christmas gift from Santa Clause! 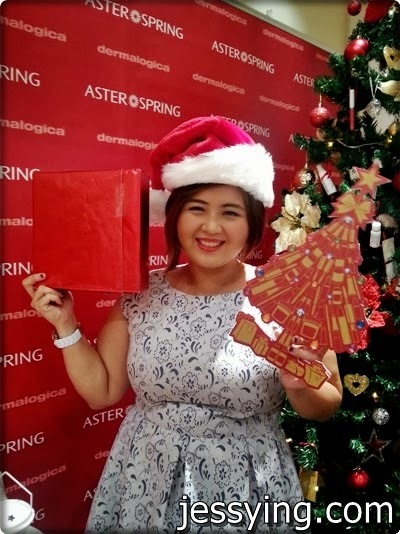 Okay I'm looking happy because I can't wait to start to count down to Christmas with AsterSpring Beauty Advent Calendar Gift Box! This AsterSpring Beauty Advent Calendar Gift Box is available at all AsterSpring centres from 1st November to 31st December 2013. 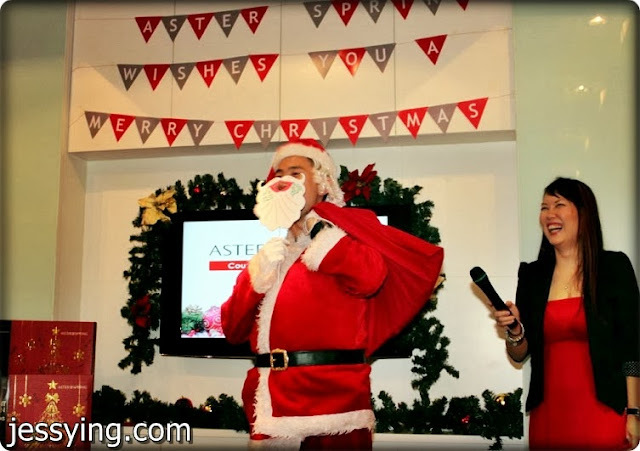 For purchases of RM 2,800 and above (valid for promotional items), one set of the AsterSpring Beauty Advent Calendar Gift Box will be given as a complimentary gift. 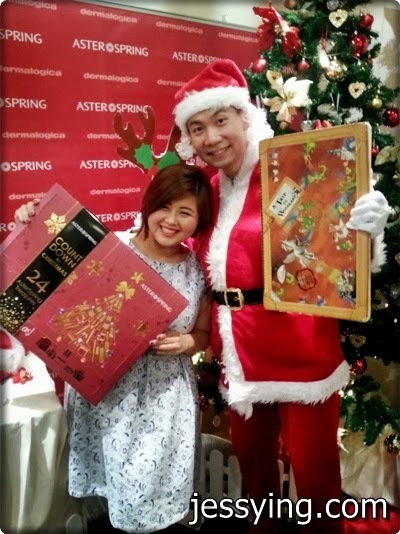 With any purchase of RM1,800, you can purchase the AsterSpring Beauty Advent Calendar Gift Box at RM188 (worth RM1,155). 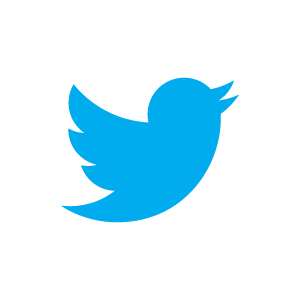 Or you can call AsterSpring Customer Service Careline at (603) 7809 6777 from Mondays to Fridays during normal business hours for any enquiry.